Pre-registered runners will receive a 2019 Celebrate Fairfax race shirt and two free tickets good for Sunday admission to Celebrate Fairfax. Note: t-shirts are not guaranteed to late registrants or race day registrants. 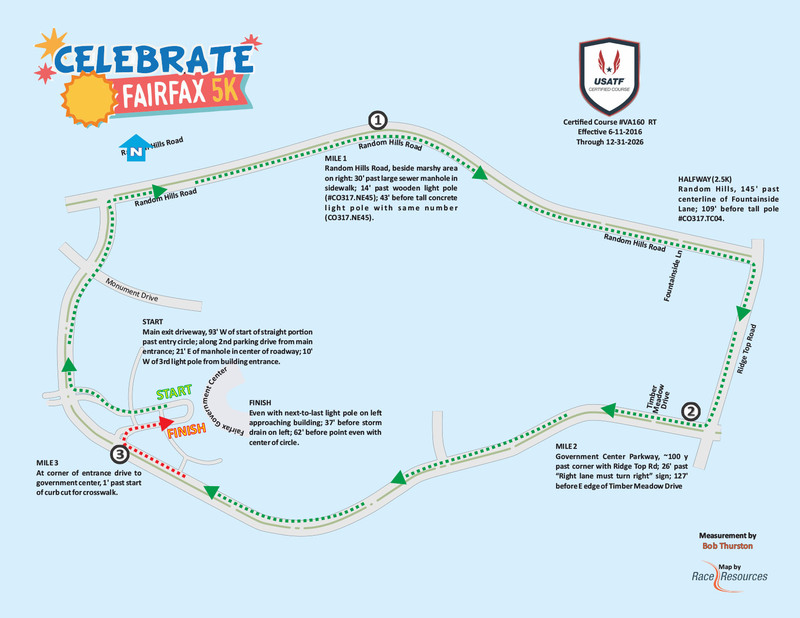 Once you cross that finish line you’ll be handed an awesome Celebrate Fairfax 5k finisher medal! Stay and celebrate! Enjoy the morning and refuel with our post-race refreshments. Come back after the race and hang out at Celebrate Fairfax! Festival …see the website for all the fun! There will be awards to the top 3 overall male and female finishers. There will also be awards to the top 3 male and female finishers in the following age groups: 14 & under, 15-19, 20-24, 25-29, 30-34, 35-39, 40-44, 45-49, 50-54, 55-59, 60-64, 65-69, 70-74, and 75 & over. There will be a free tot dash at 9:00. Registration will be open on site the morning of the race. Parking will not be available on site do to the Celebrate Fairfax! Festival. You can find parking within a short walk at the Herrity Building right across the street. The Celebrate Fairfax Education Fund operated through the Community Foundation of Northern Virginia is the beneficiary for the Celebrate Fairfax! Festival 5k. The Celebrate Fairfax Education Fund exists to provide support for scholarships and other educational programs of the nonprofit Celebrate Fairfax, Inc. (CFI). Now in its 35th year of operation, CFI provides ten Community Spirit Scholarships to graduating Fairfax County Public Schools seniors, each of whom have actively demonstrated excellence in community service, academics, and extracurricular involvement. Additionally, funds generated will provide for the creation and/or expansion of CFI’s educational programs at their public events, especially in the areas of Green Education, Community Diversity Awareness, STEM initiatives, and general education.